So where does one eat at when in Cagayan de Oro? 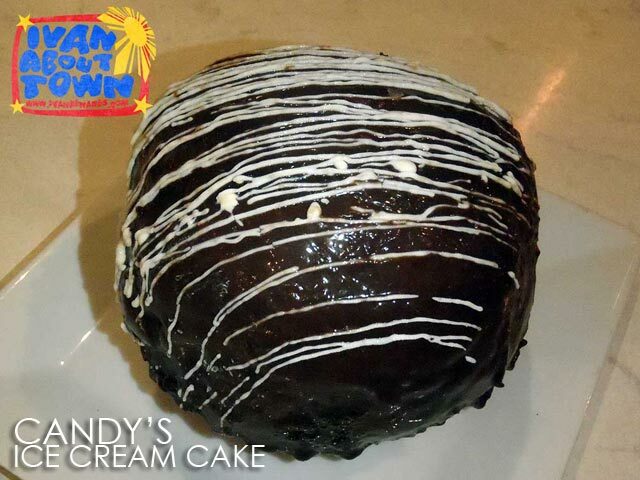 After that whitewater rafting trip or that day-trip to Bukidnon, I'm sure we're all hungry. And it's good that Cagayan de Oro has a lot of options and choices. So here's CDO for our Food Trip Series. There's the CDO Night Cafe every Friday and Saturday night. 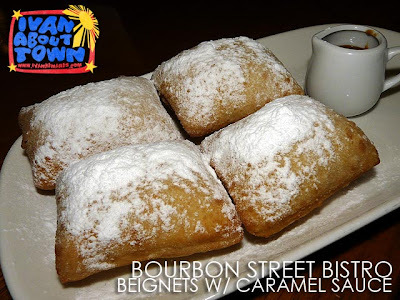 I also visited Butcher's Best Barbeque, Candy's and Bourbon Street in Limketkai, Sentro 1850, and Steve's BBQ. Although in Manolo Fortich, Bukidnon, the Del Monte Clubhouse is also popular among tourists. The roads around the plaza in Divisoria are closed every Friday and Saturday night for what is called the CDO Night Cafe. I remember when I first visited CDO in 2004, the Night Cafe was just a new idea. But way back then, it already attracted a lot of people. Today, it's an even bigger enterprise with more food stalls, mostly grilled meats and seafood. 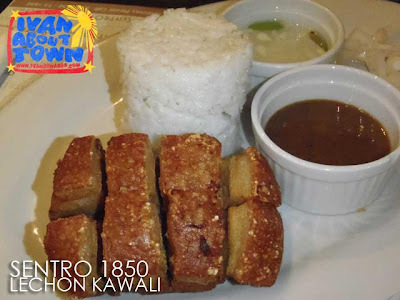 But you'd find the occasional ulam and tasty CDO lechon as well. 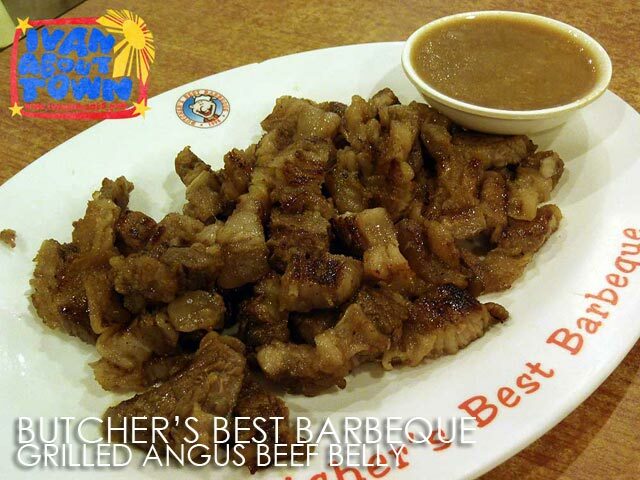 Speaking of barbecue, Butcher's Best serves good and affordable grilled meats as well. Try their Original Pork BBQ and Pork Sisig. 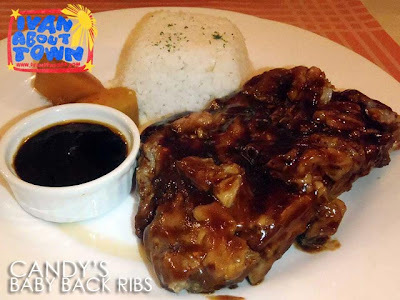 But my personal favorite is the Grilled Angus Beef Belly (Php80) which is really value for money. When I asked readers for suggestions, Candy's in Limketkai topped the list. Halibut with Fresh Sea Scallops (Php875) was among the highly-recommended dishes. I was told I should have tried the pizza too. Among the dishes we had were the Roasted Chicken with Panzanella (Php345) served with roasted capsicum, artichoke hearts, fresh orange slices, yam, tomatoes and seasoned with warm honey vinaigrette; and Baby Back Ribs (Php345). 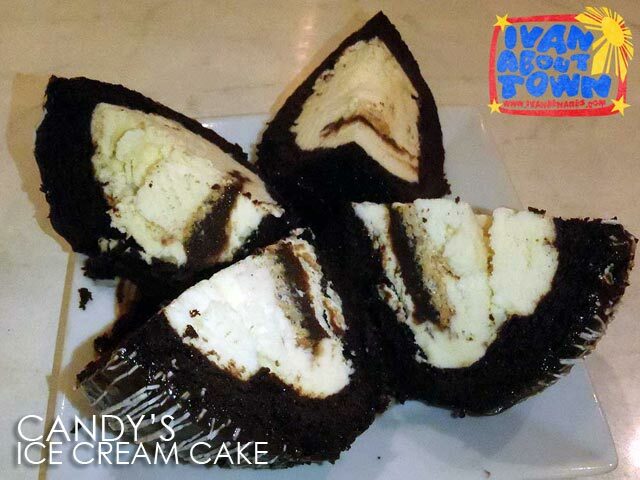 For dessert, we tried out their Ice Cream Cake. 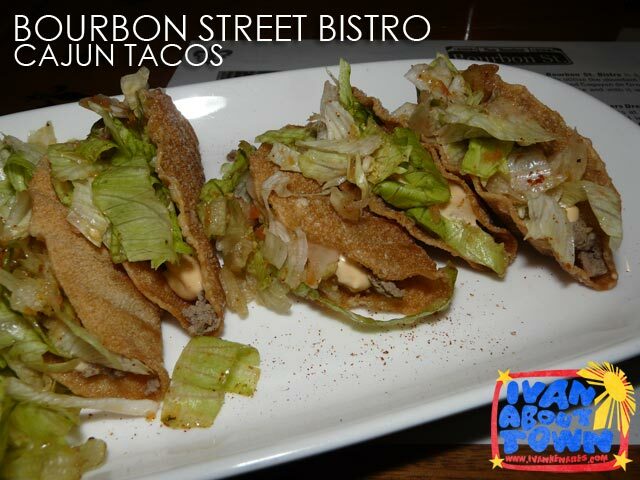 Also in Limketkai is Bourbon Street Cafe which serves New Orleans cuisine. I got to try their Cajun Tacos (Php180) and the Beignets with Caramel Sauce (Php110) which they are quite famous for. 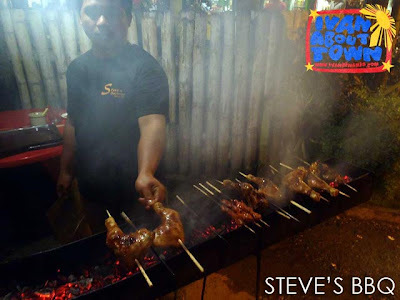 Jet Jeff suggested two more restaurants in Limketkai namely Kagay-anon Restaurant and Country Steakhouse (they serve ostrich meat) as well as La Vetta for a gourmet experience. 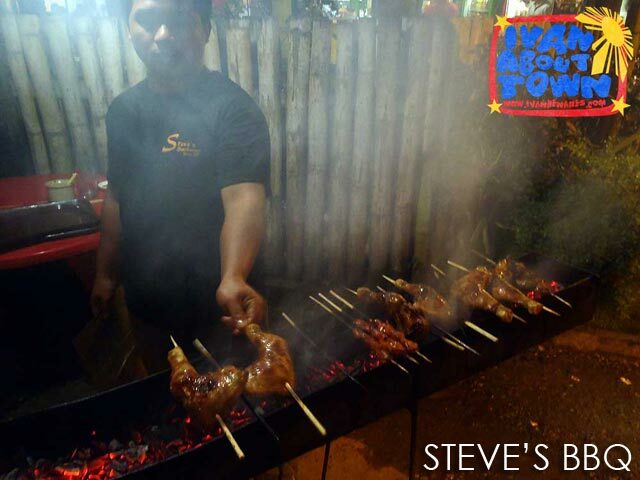 For more streetfood, Mckoi Pernia suggests chicken a la carte (yes it's a cart) that sprouts around the Cogon Market after 8 p.m. His favorite is Steve's which has now moved to their own restaurant along J.R. Borja Extension near Limketkai. He adds that he remembers 3 a.m. post-gimmick meals at this one particular carinderia inside the Cogon Public Market which serves piping hot Humba and Balbacua (pork knuckle soup). 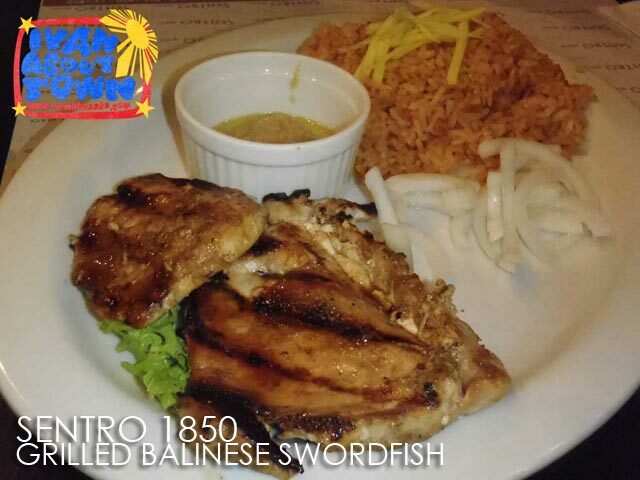 Another place we had dinner at was Sentro 1850. Among the dishes we ordered was Ima's Kawali (crispy deep fried pork belly with liver sauce and spicy vinaigrette) and Grilled Balinese Swordfish. Sentro also was an interesting selection of foreign beers. 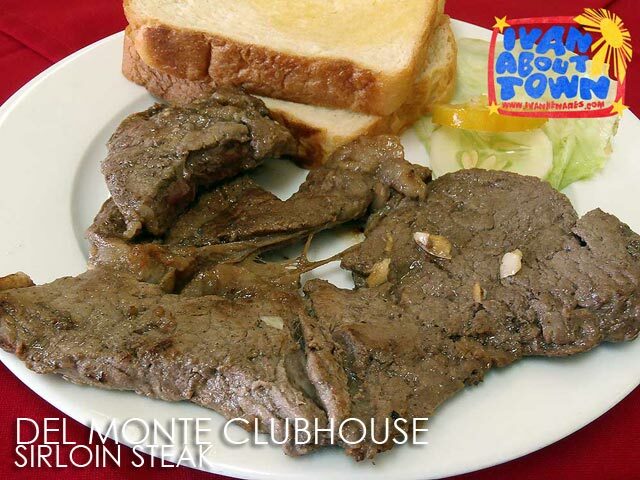 Although not in CDO, visitors to Cagayan de Oro troop to the Del Monte Clubhouse in Manolo Fortich, Bukidnon to try their steak. I missed this the last time. So I made sure we ate here on the way to Dahilayan. Yes, we had steak for breakfast! Well, I didn't have time and space to eat at every place interesting. But here are more suggestions from Jet Jeff. He suggests the old noodle houses of CDO which have been serving customers for decades. There's Yees Kitchenette along Cruz Taal Street, La Paz Batchoy along Capistrano Street, and Bagong Lipunan which now has several branches. He adds "We should support these establishments as they are part of our city's cultural heritage. A few years ago, Ah Fat Bakery, which was one if not the oldest in the city, closed down. They baked salted bread or pan de sal in a brick oven." 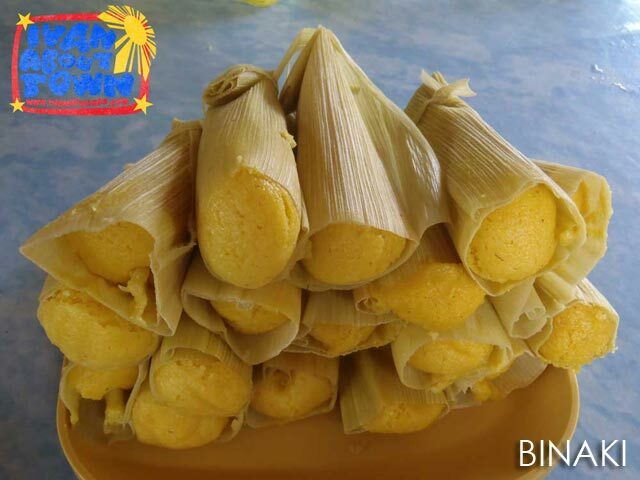 Speaking of heritage food, make sure to try binaki or steamed corn cakes when you are in CDO. It's one of the best native snacks I've had. I wonder why it isnt't as popular as it should be. You'll know what I mean when you taste it. 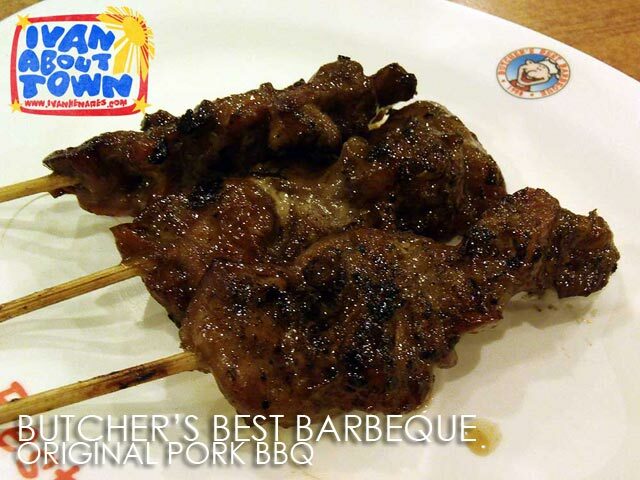 Manny Gaerlan suggest that you try also the different home-grown brand of hams such as Oroham, Slers and Pine. Anyway, that sure made me hungry again! 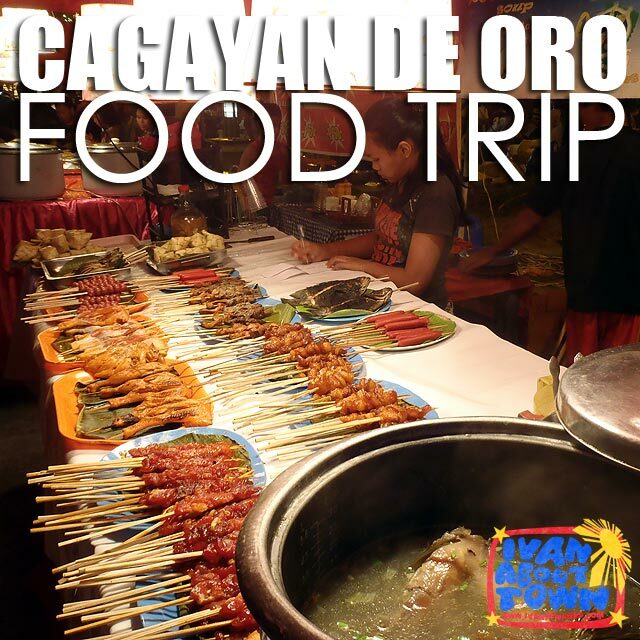 Time to schedule another food trip to CDO! ohy!!! srap ng cajun tacos nang bourbon!!! 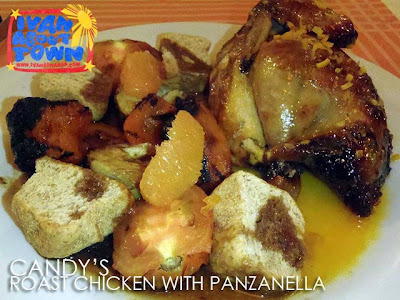 dn ung roast chckn w/ panzanella... :) i luv cdo!! CDO is love. Three of my favorites on that place is on your list: Candy's, CDO Night Cafe and Del Monte Clubhouse. You might want to check Dear Manok also. 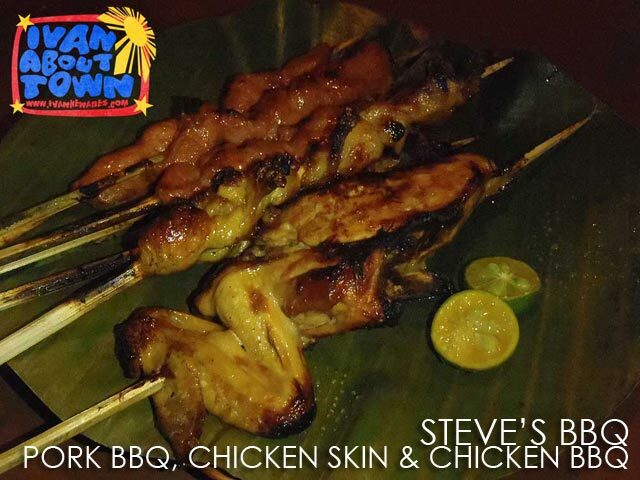 They have the best grilled chicken and chicken skin. I forgot about Dear Manok. Let me add to my list. Binaki was called as such because it looked like a frog (baki). It is commonly sold here in CDO and Bukidnon by corn vendors. it's good you tried Binaki. it was a heritage food that was almost lost and at one time was hard to find (only 2 vendors were making it). it is slowly making a comeback but as you said it is not as popular. this snack can only be found in cDEo and Bukidnon. 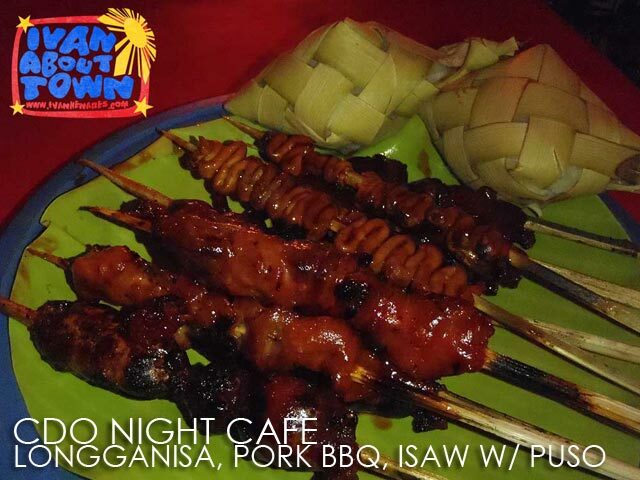 next time you're in cDEo, try to visit Kagay-anon restaurant and try the different home-grown hams. Bro, bagay 'yang post mo ngayong Christmas season. Isaw mommy kissing Santa Claus! Yup, next time. I had to pass on a lot of establishments due to space constraints. Haha! 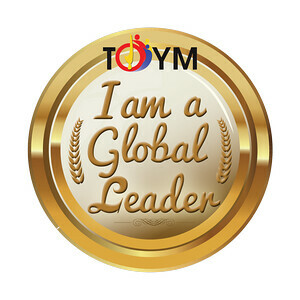 thank you so much for your post. It really made our day in Cagayan to visit Best BBQ, Candy's and Bourbon St., before leaving for Manila- too bad no room for more. how do i make reservations at Candy's? contact number pls? thanks!